There were plenty of good goals to choose from in this week’s round of football and the boot spots were just the same, with great boots on display. We have picked ten of the very best. Check them out and see if you can find some inspiration for a pair of new boots. 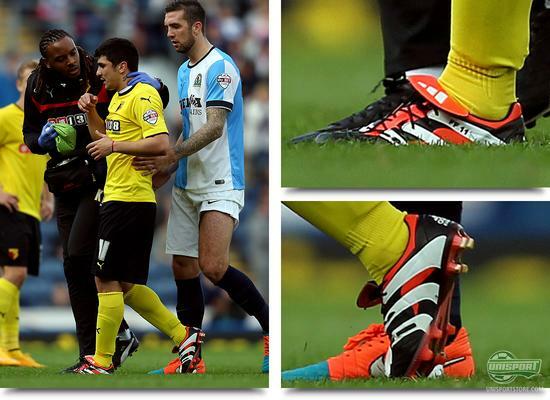 Van Persie has for quite some time worn the same boot. His trusted F50 Adizero with the specially made AdiPOWER heel in the Samba Pack design. 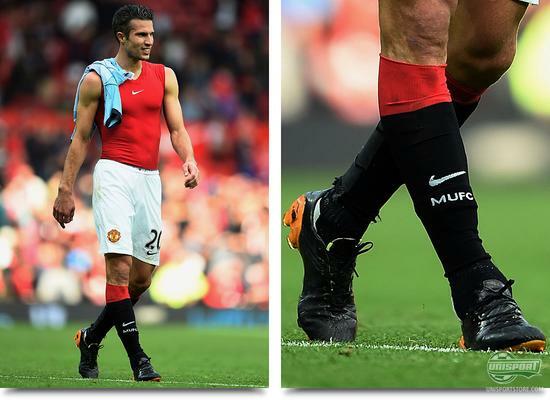 Now however things might be changing, as RVP this weekend wore a blackouted boot. The question is, was this the result of contract disputes, or maybe just a new for change? 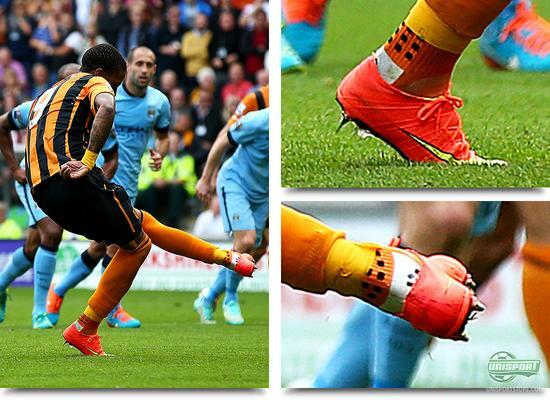 Abel Hernandez was one of the last trades of the transfer window and so far he has proved to be a good investment by Hull, scoring twice in the last two games. Our focus does however not fall on the Uruguayan for his goals, but rather his choice of boot. He has chosen to chop off the Superfly’s Dynamic Fit Collar. He therefore joins a couple of others, who prefer the boot without the new innovations from Nike. Hull City find themselves towards the bottom of the Premier League, but if you go even further down through the leagues you find Northampton Town. Here Kaid Hohamed has been spotted wearing the green colourway of the Vapor X and that calls for some attention, because this was intended to be CR7 exclusive model. Which of the 4 first Vapor X models do you like the best so far? 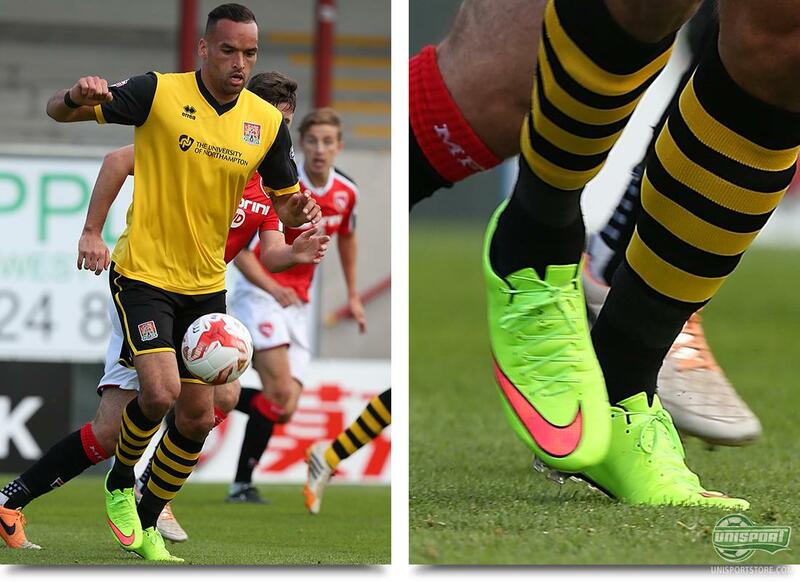 Kaid Mohamed and Northampton this weekend won 1-0 against Morecambe, where Ryan Williams performed in his blackouted Predator Instinct. The iconic Predator that was released in both a whiteout and blackout version looks very sharp with its characteristic Lethal Zones. We look forward to seeing what other colourways adidas might have in store for us. 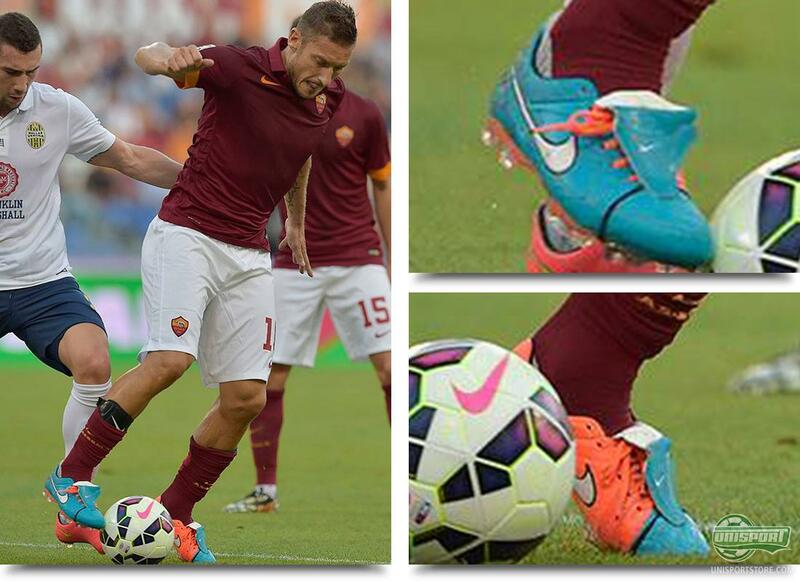 And speaking of icons, things probably don’t get any more iconic than Totti in a pair of Tiempo Legend V. And when Totti still stubbornly keeps a hold of his personalised boot tongue, it makes us very happy here at Unisport. Only one word adequately describes it: World Class! Okay, Fernando Forestieri will probably never reach the world class levels of Totti, but he makes a good go at it with his choice of boots. This weekend he pulled on a pair of the nostalgic modern interpretation of the Predator Accelerator, which was recently released as a limited edition in honour of the Predator’s 20 year anniversary. We are still up clapping our hands! 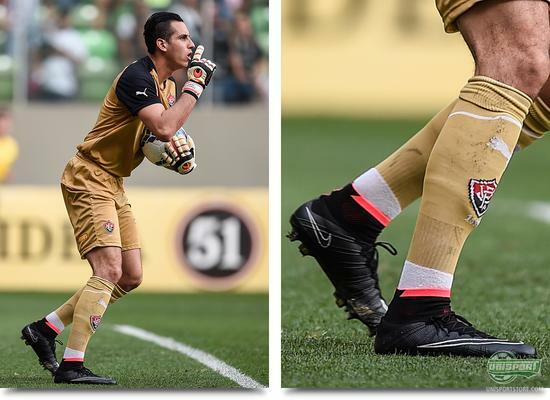 And keeping with the Limited Edition theme we caught Marcelo Grohe in the Brazilian Serie A wearing these bad boys. The absolutely last CTR360, which was released in just 2500 pairs worldwide, with a completely blackouted design. 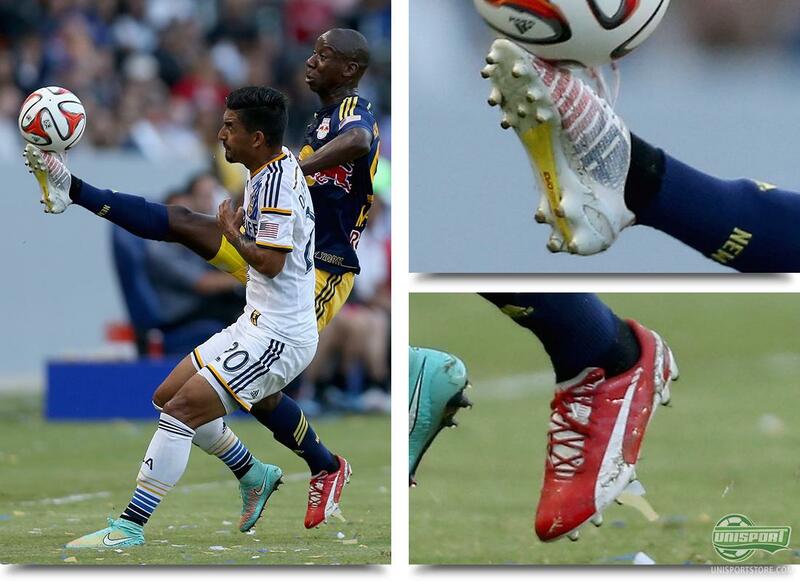 We can’t help but shed a little tear every time we see this boot on display. We tip our hat in appreciation of a departed legend. And while Marcelo Grohe was rocking a resigned blackout legend, Roberto Junior from Vitoria was playing in a still very much living legend. He had thrown his affections towards the Nike’s Mercurial Superfly, which earlier this year came out in this toned down model from a collection called the Black Pack. Explosive Speed is not just for outfield players. 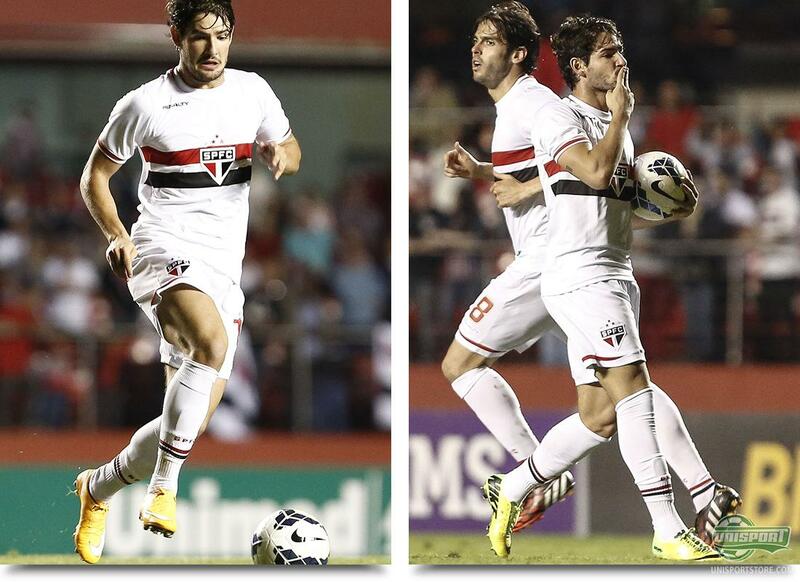 And while explosive speed comes in many shapes and sizes, Pato looks like he is struggling what to make of it. 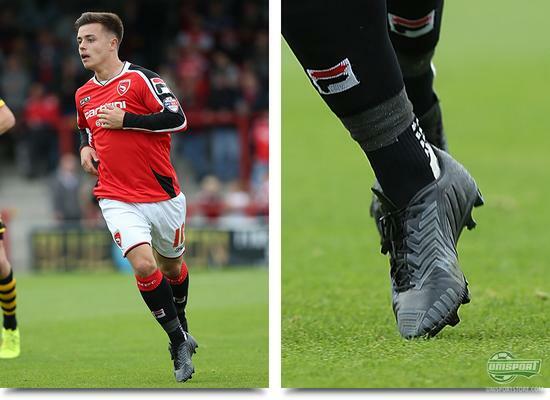 He has previously tried with the new Superfly, where he chopped off the Dynamic Fit Collar and this weekend he wore the newest generation of Vapor, but in the end it he reverted back to his trusted Mercurial IX. Which of the three Mercurial Models would you pick? We round off our little trip around the world in America and the MLS. Here we caught a glimpse of Arsenal Legend Ian Wright’s son, Bradley Wright-Phillips, sporting the red and white Puma Tricks boots, which were otherwise reserved for Gunners players only. However Bradley, who if anyone is wondering is Shaun Wright-Whillips half-brother, just couldn’t resist the design. This was all the boot spots we had in store for now. Remember you can always get in touch, if you saw any interesting spots during the weekend fixtures. Which of the ten spots above did you find the most intriguing?